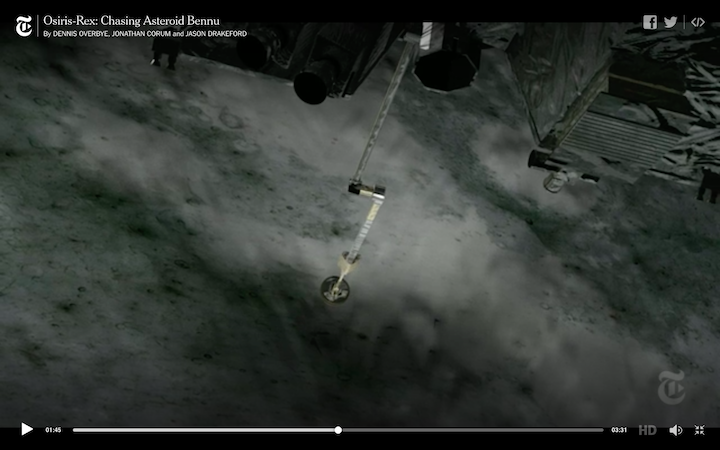 Watching the video in this NYTimes article NASA Aims at an Asteroid Holding Clues to the Solar System’s Roots I realized for the first time how the samples actually make it back to Earth. The chemical composition of the organic and volatile compounds is of great interest for this mission for many reasons. So I would think that it is important to avoid thermally induced chemical reactions, migration, and redistribution of the compounds within the sample matrix. If it gets hotter than it does while on Bennu, the science may be compromised. 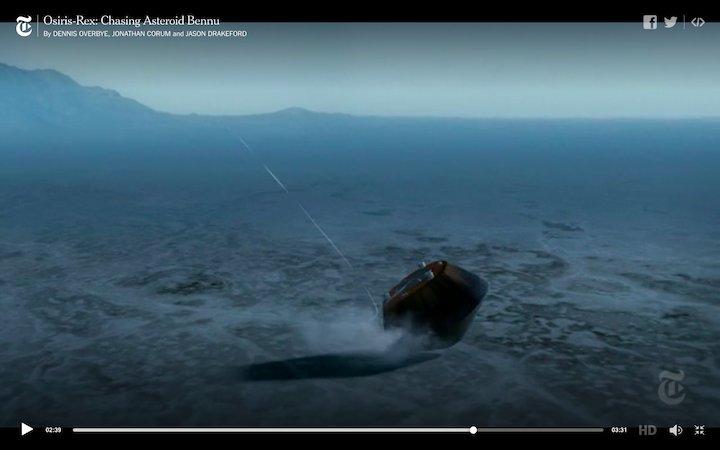 note: According to the text in this excellent Asteroid Missions animation near the end, the re-entry velocity will start at about 12.4 km/sec. See also OSIRIS-REx Press Kit. Return and analyze a sample of pristine carbonaceous asteroid regolith in an amount sufficient to study the nature, history, and distribution of its constituent minerals and organic material. 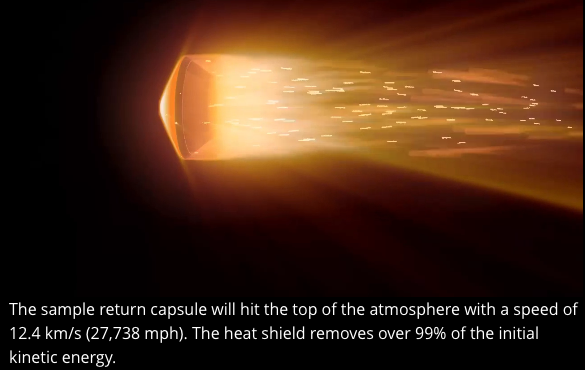 Is the re-entry kept shallow to avoid peak external temperatures, or is it deep and rapid to "get it over with" before heat can diffuse through (presumably) a lot of insulation? The sample return capsule is designed to keep its contents below 75 °C. It is a flight-proven design, reusing technology developed for the Stardust mission. 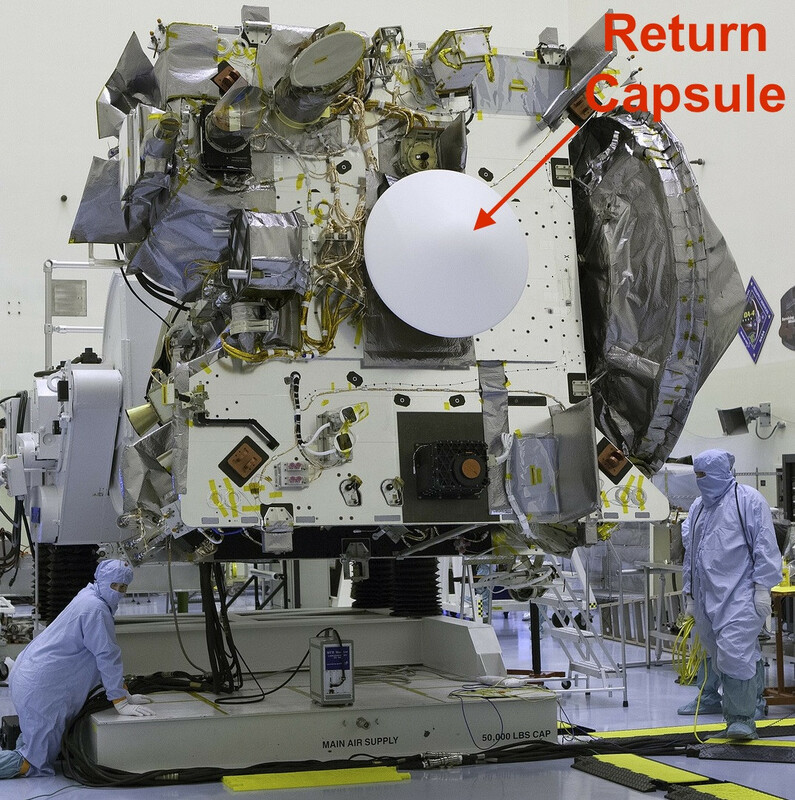 The return capsule’s structure consists of a graphite-epoxy material covered with a Thermal Protection System making use of NASA’s PICA heat shield technology – Phenolic-Impregnated Carbon Ablator. PICA is a lightweight material designed to withstand high temperatures and mechanical stress. The technology was developed at NASA’s Ames Research Center and currently is in its third generation after undergoing gradual improvements. SpaceX modified the PICA technology for the company’s Dragon and Dragon 2 spacecraft, enabling re-use of heat shields. The principle behind ablative heat shield technology is to create a boundary layer between the shield’s outer wall and the extremely hot shock layer gas by allowing the heat shield material to slowly burn away and, in the process, generate gaseous reaction products that flow out of the heat shield and keep the shock layer at a separation distance, reducing the overall heat flux experienced by the outer shell of the spacecraft. The processes occurring at the heat shield material include a charring, melting and sublimation on the one hand and pyrolysis on the other. Pyrolysis creates the product gases that are blowing outward and create the desired blockage of convective and catalytic heat flux. Radiative heat flux is reduced by introducing carbon compounds into the boundary layer gas which make it optically opaque. The backshell of the SRC is also covered with thermal protection material, but since it resides in the wake of the hot gas flow, it will not need as much protection as the forward facing side. Its Thermal Protection System is comprised of a cork-based material known as SLA 561V, originally developed for the Viking missions to Mars in the 1970s and in use on a number of missions including the Mars Pathfinder, Genesis and MER rover missions. Also facilitated within the backshell is the parachute mechanism with secure attach points for the parachutes to the capsule. 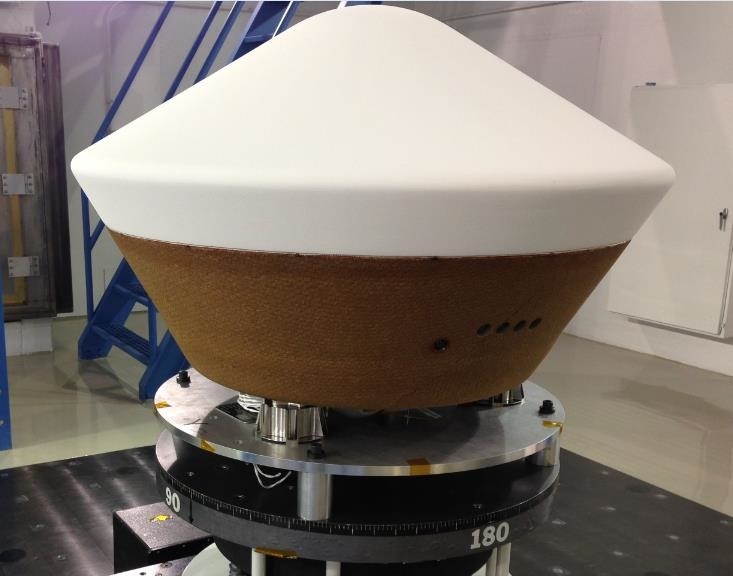 The Sample Canister itself is an aluminum enclosure mounted on a composite equipment deck and residing between the backshell and heat shield. The overall performance of the SRC will maintain the sample at a temperature below 75°C in order to avoid pyrolysis (the thermochemical decomposition) of organic material at higher temperatures. This is to supplement the accepted answer by @Hobbes, and this information is from this link from that answer. The return capsule is a lot larger than I imagined, 81cm diameter, 50cm tall, so there is plenty of room for insulation. That should be enough to prevent any chemical/biological changes and preserve the regolith for further scientific study. 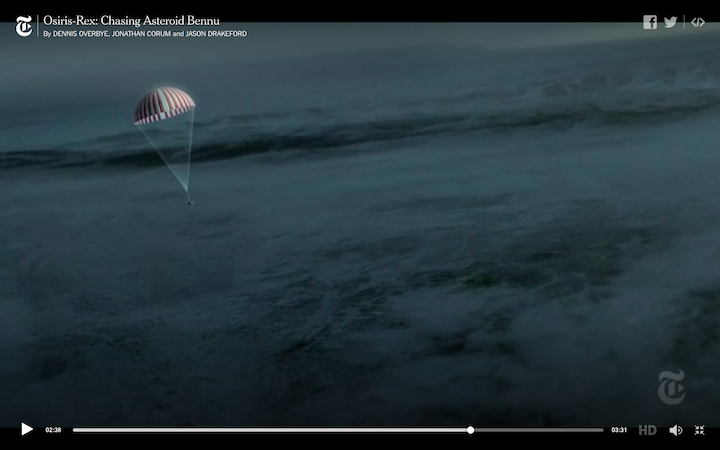 In the same way re-entering astronauts remain cool and unmodified, by using a heat shield. Not the answer you're looking for? Browse other questions tagged reentry thermal sample-return osiris-rex or ask your own question. Is there a method of finding chemical composition of asteroids? Can I use an ice cube as a re-entry heat shield? 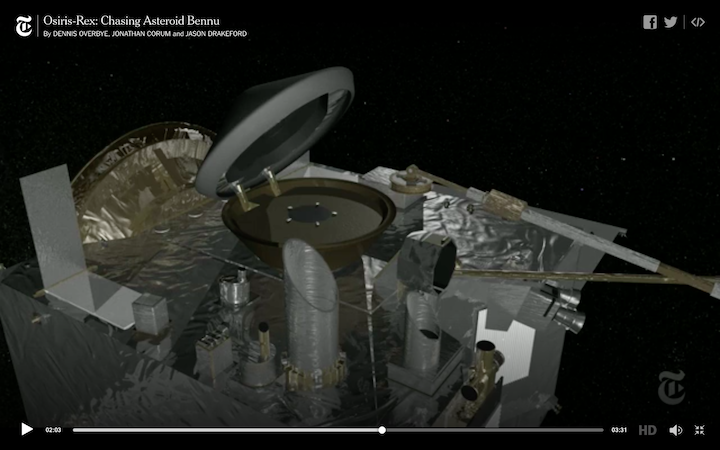 How will OSIRIS-REx scan and characterise the near-earth asteroid Bennu? 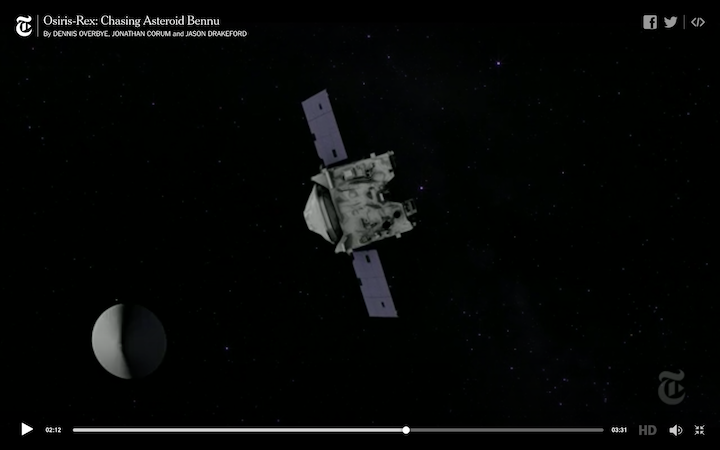 What are the differences in technology between OSIRIS-REx and Hayabusa missions? 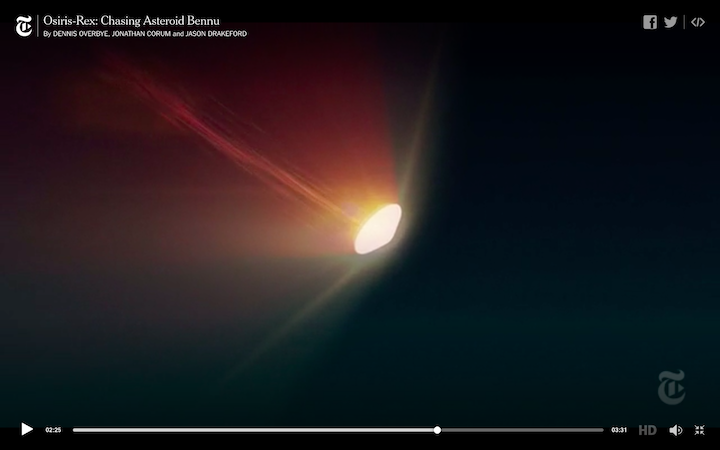 Does Bennu pose a risk to Earth? And how can OSIRIS-REx's mission save us? What was the probability that Osiris Rex would find Earth Trojans? How low does OSIRIS REx's record-setting orbiting around Bennu go? 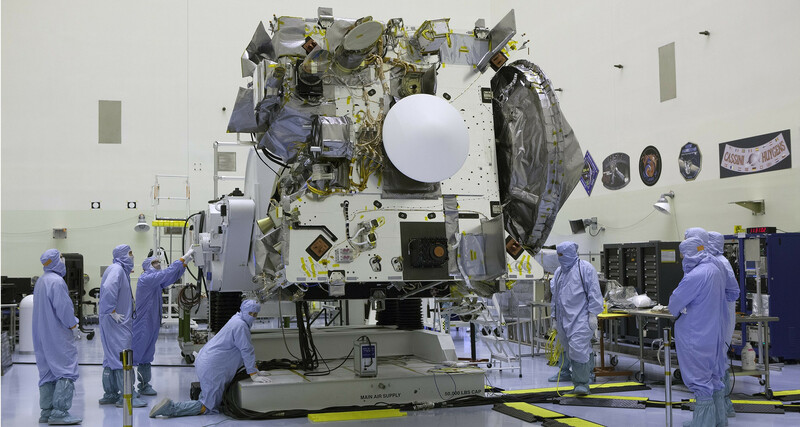 How exactly will OSIRIS-REx's Navcam be used to navigate?